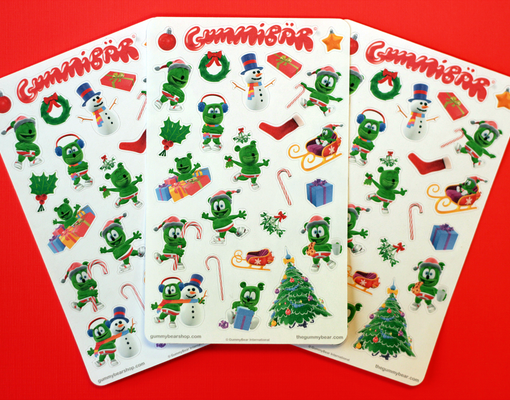 These Christmas Sticker Sheets make for the perfect gift this holiday season! 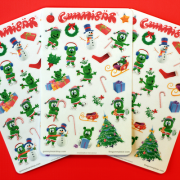 The sticker sheets are great for stocking stuffer goodies, decorating packages and cards, scrap booking, and much more! 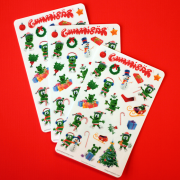 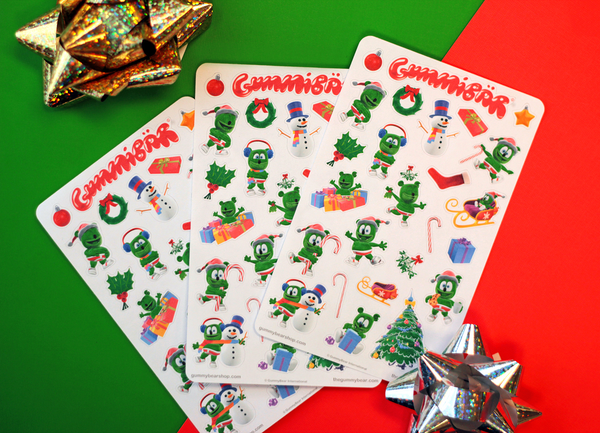 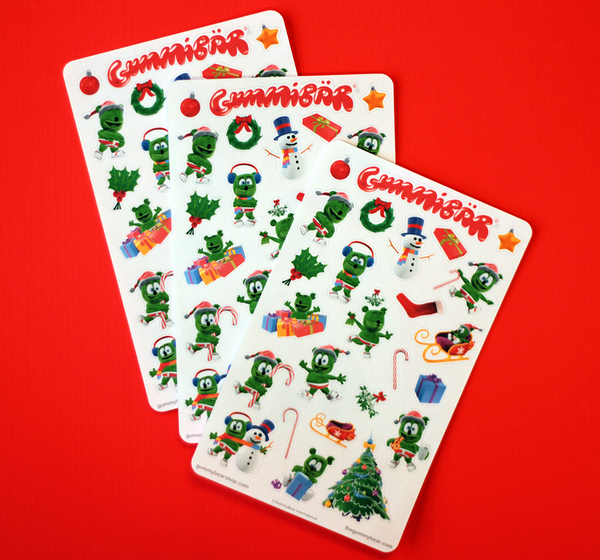 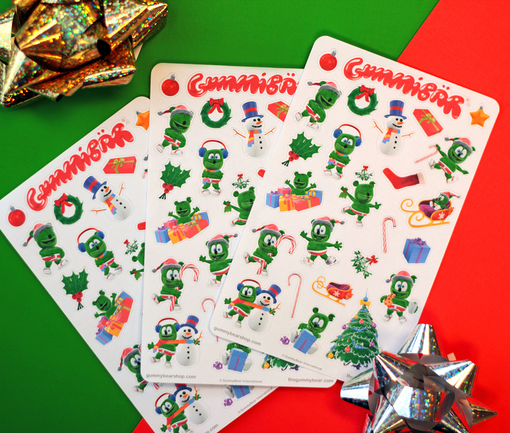 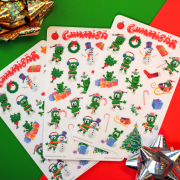 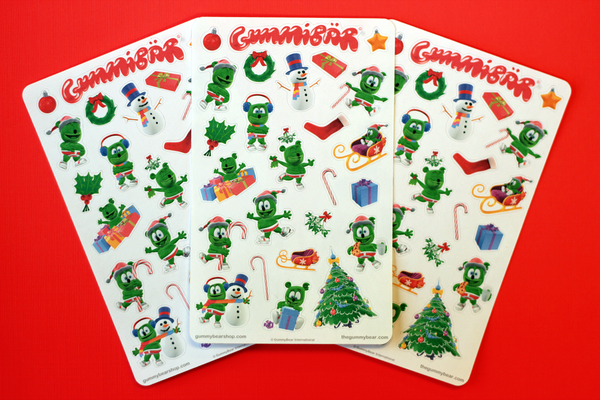 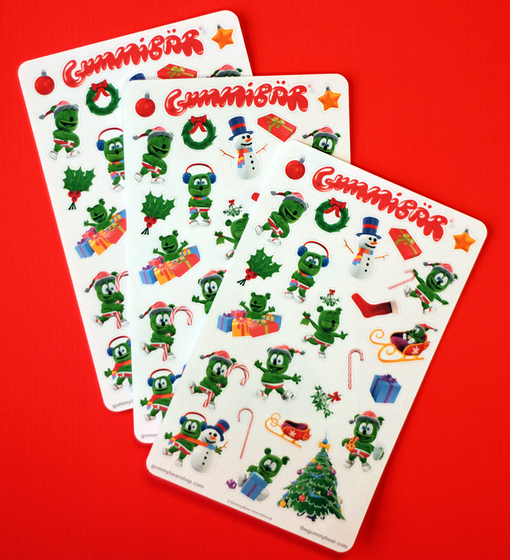 Each Christmas Sticker Sheet Set includes 3 sheets of Gummibär Christmas themed stickers!